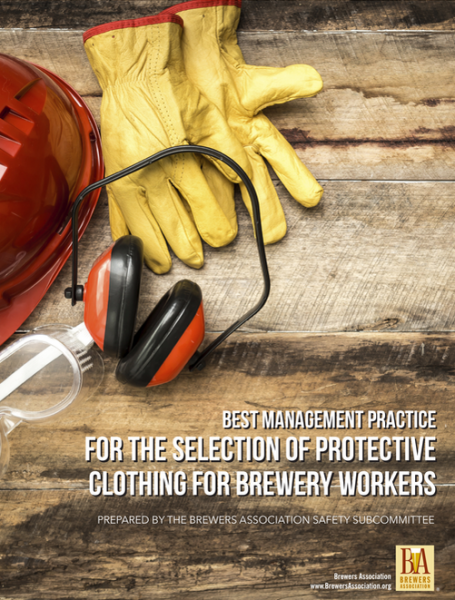 The purpose of this document is to provide a helpful, consistent guideline for Brewers Association (BA) members to use when specifying brewery uniforms and protective clothing. Employers and employees must work together to assure a safe workplace. Employers need to perform workplace hazard assessments in order to determine necessary protective clothing, adequate engineering controls, and safe work practices as well as provide training and equipment. Employees have the responsibility to conduct themselves in a safe manner according to the equipment and training they have received.